We are now just 3 days away from the winter transfer window shutting close! LaLiga sides are still busy trying to get the players they want and it looks like we will be an exciting finish to the window. Real Madrid have only got Brahim Diaz so far while Barcelona have signed Kevin-Prince Boateng. The Catalan side have also confirmed the signing of Frenkie De Jong, but he will only be joining from Ajax in the summer. Atletico Madrid, meanwhile, have got Alvaro Morata on an 18-month loan deal from Chelsea with an option to buy. The other sides are also working hard to get some fresh faces but with not much success. Real Madrid are 10 points behind Barcelona in the LaLiga table and look all but out of the title picture. But Lucas Vazquez is not losing hope and believes that they will still manage to challenge for the title till the very end. “We want to win every game and then we can see what happens. 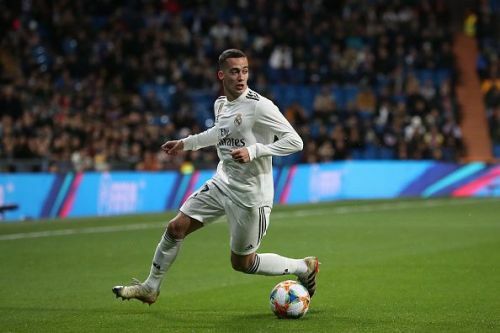 This is Real Madrid and we will fight until the end as we always do, the teams above us might slip up and we want to take advantage of that,” said Vazquez.